sanctions | Ipswich Unemployed Action. Amber Rudd’s DWP Universal Credit Help Service. DWP invests £39 million into new ‘Help to Claim’ service provided by Citizens Advice and Citizens Advice Scotland for Universal Credit claimants. One of the best things about Universal Credit is its flexibility. It recognises that everyone is different and it’s not a one-size-fits-all benefit. So for anyone who needs that little bit of extra help to make their claim, new help is now here. In addition to the support Jobcentre Plus staff already provide, Citizens Advice will now deliver high quality, independent advice through Help to Claim. Amber Rudd has been happy for days and days and days! Glad to hear that the gates of #Hastings Pier opened this morning. The pier is expected to fully reopen on Saturday and I hope that residents and tourists will enjoy all it has to offer over Easter. 🗣Every boy and girl born in this country should be able to reach their potential and dream big. 🗣 Every person should go into the workplace knowing that a better future awaits them and their family. 🗣 These are ideals that are at the heart of my work every day. 🗣️ You may hear me say "#UniversalCredit is a force for good." Sunday’s Mail, a byword for accuracy, reports that the Tories are up in arms against anybody saying otherwise! Ministers are at war with the BBC over a ‘fake news’ campaign against the Government’s Universal Credit system. Officials working for Work and Pensions Secretary Amber Rudd have submitted a dossier to the Corporation of what they describe as ‘biased and inaccurate’ reporting about people’s ability to survive on the benefits, received by 1.3 million claimants. It comes as a Mail on Sunday investigation has also uncovered a number of glaring inconsistencies in reports about the system by the BBC and other media outlets. Officials began compiling the alleged catalogue of errors and half-truths following an edition of the BBC’s flagship current affairs programme Panorama on the ‘Universal Credit Crisis’ in Flintshire, North Wales, in November. Benefit Sanctions on Universal Credit Misery. Sanctions, a subject this Blog and our contributors have often raised, are in the news today. Shocking new figures have revealed the number of people in Hull who have had their Universal Creditpayments stopped or cut since the scheme was rolled out. …. 1,547 of the people in Hull claiming Universal Credit saw their payments stopped or reduced at least once since the scheme began, according to official figures as of October 2018. Payments are either reduced or stopped completely depending on the severity of the sanction. The lowest levels sanctions are those where a person has failed to attend a work-focused interview whereas the highest level of sanctions, which can last for up to three months, could be given for refusing a job offer. These are known as “sanctions,” and happen when a person is judged to have failed to meet the terms of their Universal Credit commitment. More than a thousand people who get Universal Credit in Cambridgeshire have seen their payments stopped or cut since the scheme started. Warnings from experts have been issued as they think it means more people are having to use food banks, are being pushed into debt, and are forced to “struggle against the tide of poverty”. The controversial “six-in-one” benefits system replaces “legacy”benefits, including tax credits, housing benefit and unemployment benefit. But 1,362 people in Cambridgeshire have seen their payments stopped or reduced at least once since the scheme rolled out, according to official figures as of October 2018. The Government has released statistics detailing how many people who need support from benefits are being sanctioned – having their financial support cut or stopped entirely because they’re not able to do the things that are being asked of them, such as attend appointments with a work coach or Jobcentre Plus advisor. Universal Credit (UC) is gradually replacing a combination of other benefits, including Employment and Support Allowance (ESA), provided to those who aren’t currently able to work due to a mental and/or physical health problems, and Jobseekers’ Allowance (JSA) provided to people looking for paid work. Sanctions under Universal Credit are at least nine times higher than the benefits it is replacing. In the last period for which data is available 2.8 per cent of people saw their benefits drop due to a UC sanction compared to 0.3 per cent of people on JSA and 0.1 per cent of people on ESA. Disabled people receiving ESA are over three times more likely than people in receipt of JSA to still be receiving benefits six months after a sanction – 85 per cent of people receiving ESA compared to 27 per cent people receiving JSA. MPs hit out at “pointlessly cruel” Benefit Sanctions Regime. Sanctions Regime Remains in Place. As I was walking out from my gaff this morning I saw a poster for today’s edition of the East Anglian Daily Times. Thousands of children in Suffolk and Essex are relying on emergency handouts from foodbanks, it can be revealed. More than 1,500 youngsters turned to emergency food handouts in Suffolk from April 1 to September 30, up from 1,004 in the same period last year. And the figure was even higher in Essex, with 6,338 children receiving three-day emergency food supplies at Trussell Trust foodbanks, up from 5,514. The hard-hitting data, released by the organisation today, has seen volunteers warn of an impending “debt crisis” which could plunge even more families into poverty. Problems with Universal Credit are being blamed for driving such an increase in foodbank use. “It is unprecedented and the situation only seems to be getting worse,” warned Maureen Reynel, owner of the independent Ipswich foodbank FIND. “For a lot of families, it’s the impossible choice of whether to eat or heat their homes. Foodbanks are their lifeline. Work and pensions committee concludes that current scheme carries too high a human cost. A cross-party group of MPs has called for a review of the government’s controversial benefit sanctions regime after concluding that it was arbitrary, punitive and at times “pointlessly cruel”. The Commons work and pensions committee inquiry said the human cost of stopping benefit payments to claimants judged to have breached job centre rules was too high and there was scant evidence that it helped or incentivised people to get a job. It called for people with disabilities and chronic health conditions who have limited capability for work to be exempt from sanctions and said penalties for single parents and care leavers should be vastly reduced. “We have heard stories of terrible and unnecessary hardship from people who’ve been sanctioned. They were left bewildered and driven to despair at becoming, often with their children, the victims of a sanctions regime that is at times so counterproductive it just seems pointlessly cruel,” said the committee’s chair, Frank Field. A five-year academic study of sanctions published in May found that they were ineffective at getting jobless people into work and were more likely to push those affected into poverty, ill health or even survival crime. No evaluation carried out despite 2013 pledge – and repeated warnings of people being pushed into poverty. Ministers have broken a promise to review the “pointlessly cruel” system for imposing sanctions on benefit claimants, a damning report by MPs warns today. No evaluation has been carried out despite a pledge made back in 2013, it says – and despite repeated warnings of people being pushed into poverty after being wrongly stripped of benefits. Meanwhile, the troubled expansion of universal credit has sparked a fresh rise in the number of sanctions – including on the sick and disabled, single parents and care leavers. * Jen, a wheelchair user forced to “sofa surf” and sleep in a college library for an entire year – including through her exams – when she was wrongly sanctioned for failing to attend a jobcentre appointment. * Luke, who was sanctioned after missing a jobcentre appointment because he had been admitted to hospital with severe epileptic seizures. He was sanctioned for failing to show “good reason for missing his appointment” – a decision only overturned after a media outcry. * Samantha, a single parent forced to switch to part-time working because of a lack of childcare and stress, who was sanctioned for “voluntarily leaving employment”. Her income fell from £800 per month to £300, forcing her to rely on food parcels from friends and to beg for money. For a long time, the UK’s out-of-work benefits have been framed in terms of responsibilities and rights, from which derives a system of conditionality and sanctions. There are certain things the state expects you to do as a condition of receiving out-of-work benefits; if you fail to do those things your benefit may be stopped. The Committee does not believe in unconditional benefits for those who are capable of moving into work. But unfair and disproportionate application of the current sanctions regime is causing unintended consequences. The objective of conditionality and sanctions is to motivate people to engage with support and to take active steps to move them closer to work. But the evidence on the role of sanctions in achieving this goal is patchy. At the very least, it calls for more research. The Welfare Reform Act 2012 and subsequent changes have made sanctions longer, more severe and applicable to more people than ever before. The previous Government did not know the impact of these changes in 2012 and, six years later, it is still unknown. What we do know is that sanction rates are higher under Universal Credit than under the legacy system, and when applied inappropriately can have profoundly negative effects on people’s financial and personal well-being. The failure to evaluate the 2012 reforms is unacceptable. It is time for the Government urgently to evaluate the effectiveness of reforms to welfare conditionality and sanctions introduced since 2012, including an assessment of sanctions’ impact on people’s financial and personal well-being. Furthermore, until the Government can point to robust evidence that longer sanctions are more effective, higher level sanctions should be reduced to two, four and six months for first, second and subsequent failures to comply. Some groups of people are disproportionately vulnerable to, and affected by, the withdrawal of their benefit. These include single parents, care leavers and people with an impairment or health condition. The Government must develop a better understanding of how sanctions affect employment outcomes for vulnerable claimants. Only strong causal relationships can justify these groups’ continued inclusion in the sanctions regime. In the meantime, we recommend that people who are the responsible carer for a child under the age of 5, or a child with demonstrable additional needs and care costs, and care leavers under the age of 25, only ever have 20% of their benefit withheld if sanctioned. As well as reduced sanctions, care leavers need better support. So we recommend that the Government review working practices between local authority personal advisers and work coaches to ensure they are collaborating as effectively as possible to support care leavers. It must also introduce a way of identifying care leavers within the benefits system to allow ongoing monitoring of their experiences, including of sanctions, and to inform further tailored support. Of all the evidence we received, none was more compelling than that against the imposition of conditionality and sanctions on people with a disability or health condition. It does not work. Worse, it is harmful and counterproductive. We recommend that the Government immediately stop imposing conditionality and sanctions on anyone found to have limited capability for work, or who presents a valid doctor’s note (Fit Note) stating that they are unable to work, including those who present such a note while waiting for a Work Capability Assessment. Instead, it should work with experts to develop a programme of voluntary employment support. We still believe that support for people in work to increase their hours and earnings has the potential to be revolutionary. But its promise risks being undermined by hasty roll-out of a policy not grounded in robust evidence. The Randomised Controlled Trial showed sanctions had no effect on in-work claimants’ outcomes and work coaches are not yet equipped to get decisions right every time for every claimant. Sanctioning people who are working is too great a risk for too little return. We recommend that the Department does not proceed with conditionality and sanctions for in-work claimants until full roll-out of Universal Credit is complete. Even then, the policy should only be introduced on the basis of robust evidence that it will be effective at driving progress in work. In the meantime, the Department should focus on providing in-work claimants with the right support. Under Universal Credit, a sanction incurred under one conditionality regime continues to apply even if the claimant’s circumstances change and they are no longer able, or required, to look for work. At that point, the argument that the sanction will incentivise them towards work no longer holds water. The sanction becomes little more than a seemingly unfair punishment for non-compliance. We therefore recommend that sanctions are cancelled when a claimant’s change in circumstance means they are no longer subject to the requirement that led to their sanction in the first place. Under Universal Credit, the maximum amount someone can be sanctioned is 100% of their standard allowance. In theory, housing and children elements are therefore protected. But in reality, this is not always the case: If someone is receiving less than their full standard allowance because of deductions, such as for rent arrears, a sanction representing 100% of their standard allowance eats into other elements. It is a technical glitch, but it puts housing and children’s welfare at risk and must be resolved with the greatest urgency. We therefore recommend that the Government immediately ensures any deductions from standard allowances are postponed for the duration of any sanction imposed to ensure that the children and housing elements are always protected. Setting the right policy is important. But so too is implementing it on the ground. Over and again we heard stories of it going horribly wrong, resulting in inappropriate sanctions causing unjustified and sustained hardship. We heard about people being asked to comply with impossible requirements. We also heard that work coaches were not consistently applying the exemptions (‘easements’) they have the power to use. Claimants did not know they existed and work coaches had neither the time nor the expertise to ask questions about every avenue of someone’s life. We recommend that the Department develop a standard set of questions, covering all possible easements, which work coaches routinely ask claimants when agreeing their Claimant Commitment. The Department should also review and improve information about easements made available to claimants. If a work coach thinks someone has failed to comply with their Claimant Commitment they raise a doubt and put in motion the wheels that could lead to a sanction. We recognise that giving work coaches and decision-makers the right amount of flexibility is a challenge. But we heard too many stories of poor decision-making to believe the current system has got it right. The first hurdle is deciding what counts as ‘good reason’ for failing to comply, which is currently a judgment call for work coaches. This is a big ask when the consequences of getting it wrong can be so great. What’s more, it inevitably means that claimants in similar circumstances are treated inconsistently. But this could be easily fixed by carefully drafted regulations. We therefore recommend that the Department introduce regulations on what counts as good reason, which still allow work coaches to exercise judgment in any situation not included. If a work coach concludes someone did not have good reason for failing to comply, they must refer them for a sanction. We heard repeatedly, however, that the welfare system is being reformed to reflect the world of work. But we do not think it is fair or proportionate for someone’s first mistake to be met with the harshest penalty, either in the world of work or benefits system. We welcome the Government’s announcement to trial a system of warnings, instead of sanctions, for first sanctionable failures, but it only applies to narrow circumstances. We therefore recommend that the Government use the trial as an opportunity to learn lessons, while taking steps towards introducing warnings, instead of sanctions, for every claimant’s first failure to comply. We recognise the importance of an independent decision-maker to impose the sanction. It is, however, a missed opportunity that a work coach’s relationship with the claimant and insight into their circumstances—supposedly at the very heart of Universal Credit—plays no role at this stage of the process. What is more, a sanction can only be challenged once the decision has been made, by which stage the damage has been done, and the burden of proof falls to the claimant. We recommend that when a work coach refers a claimant for a sanction they are required to include a recommendation on whether a sanction should be imposed based on their knowledge of the claimant and their circumstances. Decision-makers should contact the claimant to let them know their ‘provisional decision’ and, if it is to impose a sanction, the evidence on which this is based. The claimant should then have 30 days to challenge the provisional decision or actively opt not to provide further evidence. Claimants can challenge the final decision to impose a sanction first, through Mandatory Reconsideration, and then via First-tier Tribunal. But in the absence of any commitment from the Department on how long these decisions will take, people can endure the hardship of a sanction for weeks on end. This is all the more painful if, after all that time, the sanction is overturned. We therefore recommend that the Department commit to a timetable for making decisions about sanctions at Mandatory Reconsideration and appeal. Hardship payments are made to those who would otherwise be left with nothing when sanctioned. But recovering that payment at a rate of 40% of someone’s standard allowance imposes further significant hardship. It is neither necessary for the Government—as it appears not to be financially motivated to recover the money—nor affordable for those who have been recognised as at risk of extreme poverty. Our final recommendation is therefore that the Department issues revised guidance to all work coaches to ensure hardship repayments are set at a rate that is affordable for the claimant, with the default being 5% of their standard allowance. Jobcentre Goes Mad: Demands People Have Smartphones. Soon to Include Jobcentre AP? Arthur Chapple. The ‘I’. Today. I am long-term unemployed. Few employers take me seriously: I’m 56, a credit risk due to high debt, can’t drive and therefore dependent on public transport which means I cannot pursue jobs with shift patterns outside the bus or train times. A history of agency temping jobs makes running a full five-year history check for potential employers too demanding. A degree in literature and philosophy makes me over-qualified by not being very vocational. I was moved to a proto-version of Universal Credit (from Jobseeker’s Allowance) in Manchester a few years before moving to Preston in 2016. I am transferring to the ‘full roll out’ of Universal Credit on 27 September 2018. I learned this at my last meeting with advisers at the Preston Jobcentre on 6 September. he Department for Work and Pensions (DWP) can’t check my records on their computers for data protection reasons but can absurdly look at my own devices directly if I lug them in. On 6 September, I was sent to an adviser – not my usual – who had no interest in my job search record at all. He looked at my tablet in disdain. He insisted that I use an iPhone instead. I told him I don’t have an iPhone, just a basic mobile – which he saw – and a landline at home. “I questioned [the smartphone’s] affordability. He told me of one going cheap at Argos and said the DWP would contribute up to £40 towards a new model.” It’s a very simple phone that will only take calls and texts, but it’s good enough for somebody phoning me up to say we’ve got a job you might be interested in. I’ve got a computer at home as well. The adviser told me my full roll-out signing session is on 27 September and that by then I must get a smartphone, which he said would be easier to carry and access. I questioned its affordability. He told me of one going cheap at Argos and said the DWP would contribute up to £40 towards a new model. I asked if this included its top-ups or a contract, but no. Credit for my current phone costs an average of £5 every three months. I doubt if a smartphone would be as cheap. I was given no indication that I had a choice or that this decision was not mandatory. Such power-play strikes me as highly unethical and bogus. I feel intentionally misinformed. With people starving and dying of suicide over the Universal Credit changes, forcing us to use credit-hungry phones is really beyond the pale. Many see the unemployed as scroungers but I do extensive voluntary work, have a book due for publication soon and Christmas work lined up for November and December. This is great but sadly temporary. By January I will almost certainly be claiming benefits again and once more plunged into red tape hell, just as it seems to settle down from the last time. The whole, horrible process could be repeated on me. Personally I rarely use even an ordinary mobile…. Thank you for your Freedom of Information request received on 16th July and your subsequent email of 19th July. Are there any circumstances when a jobseeker (a JSA/ESA claimant) may be mandated by Jobcentre plus, by way of a Jobseeker’s Direction for example, to provide a telephone number and/or an email address on which the Jobcentre may expect to be able to contact them, if the jobseeker does not wish to provide this information? Specifically, are there any circumstances in which a jobseeker would (note: not could, or may) be sanctioned for refusing to provide a telephone number and/or an email address? If the jobseeker does not have a telephone (landline or mobile) is there any circumstance in which the Jobcentre can force the jobseeker to obtain one, even if this is being supplied at no cost to the jobseeker by, for example, the Jobcentre or a Work Programme provider? Would the jobseeker have to accept this or otherwise face a sanction? Furthermore, are there any circumstances where a jobseeker would be sanctioned for refusing to allow the Jobcentre/DWP to keep a copy of their CV such that it would be permanently accessible to advisers etc? If the jobseeker is not legally obliged to give a permanent copy to the Jobcentre/DWP is there a legal requirement to show a copy of a CV to the Jobcentre and, if so, would it be considered reasonable for a jobseeker to redact any personal information, such as telephone numbers, email addresses, employer details etc., from a CV being shown to an adviser? Additionally, in the specific circumstance where a jobseeker is refusing to register with Universal Jobmatch, would the jobseeker be sanctioned if his reason for refusal is not wanting to supply an email address during the registration process (bearing in mind that supplying an email address is mandatory to set up a Government Gateway account and without which registration with Universal Jobmatch is impossible)? Providing a CV, email address or telephone number is not mandatory, therefore is not sanctionable. CV, telephone number or email address will help a claimant get a job. The decision to issue a Jobseeker’s Direction must always take into account the claimant’s individual circumstances. the circumstances of each particular case. It’s Official: Nine times more people sanctioned under Universal Credit. As a follow up to our recent post. “It’s concerning to see that people who are currently receiving Universal Credit are much more likely to be sanctioned than those receiving the benefits that it’s replacing. We have long been warning the Government that a punitive approach towards people who are out of work because of their health or disability is not only ineffective but is causing a great deal of distress. In addition to the harm they cause, sanctions are counter-productive, causing many people with mental health problems to become even more unwell and move further from hopes of getting back into paid employment as a result. **See para 22 of the Department for Work and Pensions response to the Work and Pensions Committee recent inquiry into benefit sanctions. 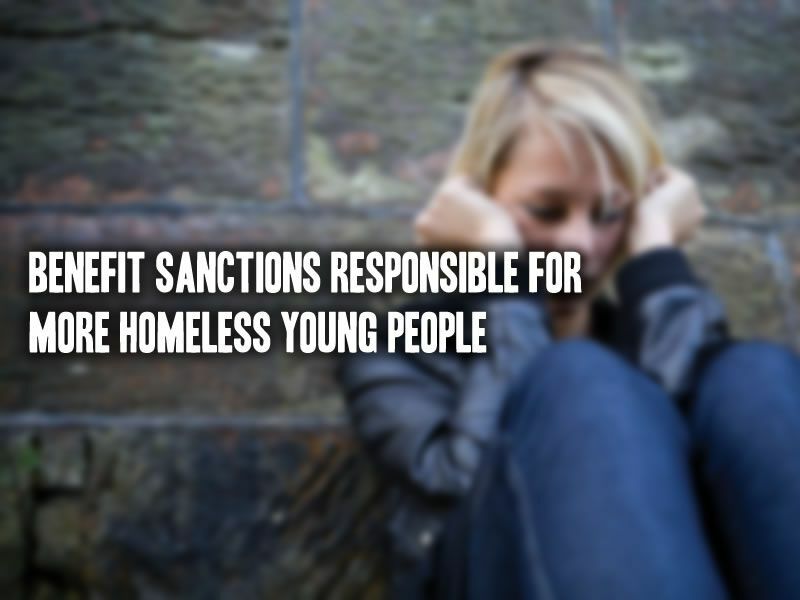 Sanctions and Homelessness: Universal Credit in Action. The Threat Looming Over Universal Credit Claimants. By Luke O’Donnell in today’s ‘I’. They said Universal Credit would make things more simple. Having fallen foul of the Department for Work and Pensions’ (DWP) trigger-happy use of sanctions, I can say that this is not the case. I have epilepsy and missed a Job Centre appointment in November after having seizures. I missed a second meeting in January after being in a status epilepticus, which left me in a hospital bed, connected to a drip. While I had evidence for this, I could not provide anything to prove why I missed my previous appointment. The DWP stated I had “failed without good reason to comply with a work-related requirement to attend a work-focused interview”. I was sanctioned for three of my four weeks’ benefits. Sanctions demotivated me This showed me there was no common sense or discretion being applied by the DWP. In bundling all benefits into one system they appear to have lost the ability to use reasoning or any sense of fair play. Their sanctions only served to demotivate me further than my health had already. Quite the opposite of the intended effect. It just augmented my worries about finding an employer who’d take my health seriously because if a Government agency doesn’t consider it worth taking into account, what would employers think when they find out about my brain damage? My case was so outrageous that when I tweeted the letter upholding my sanctions after I’d navigated the DWP’s arbitrary “mandatory reconsideration” process, it quickly gathered momentum on social media and was picked up by i and BBC News. As a result of the widespread negative attention the DWP’s flagship new benefit service received, my case was given a “second reconsideration”. My benefits were hastily reinstated and I heard no more. I was lucky. But I still wanted the DWP to acknowledge it was aware of the effects Universal Credit was having on people. I got in contact with Esther McVey, Minister for Work and Pensions, but received no response. So I tried again, to no avail. My case is just a drop in the ocean. A simple search on Twitter will reveal thousands of people with disabilities and serious health conditions are being penalised instead of helped. I personally believe there is now a culture of “sanction by default, for as much as possible” within the DWP. We are being treated as though we’ve done something wrong because of the effect our health has on our ability to work. What use is a social security system that works against those very people it was initially set up to help? DWP says sanction review of epileptic man who missed benefits appointment was due to press coverage Luke O’Donnell said it was ‘satisfying’ to read a letter from the Department for Work and Pensions. Serina Sandhu Wednesday August the 8th. In March, i reported that Luke O’Donnell, who has epilepsy, was penalised after missing a work-related appointment for Job Seeker’s Allowance because he could not prove his seizures had prevented him from attending. At the time, the 24-year-old said the system was “cold-hearted”. The story was widely shared and less than two weeks later, the Universal Credit department at the DWP informed him his sanctions would be reversed, saying “not enough consideration was placed on Mr O’Donnell’s health following three days of epileptic episodes”. It’s good that Luke O’Donnell found a way out of his problems. But sanctions can have even more devastating effects. The system cannot deal with the most “difficult” cases. Welfare conditionality, benefit sanctions and homelessness in the UK: ending the ‘something for nothing culture’ or punishing the poor? The impact of Universal Credit and sanctions can be seen in this area, the news story that’s hit the headlines today. Homelessness is caused by policies: decisions on how many houses to build, and in which price range. Universal credit, sanctions, the child benefit cap – these are political decisions that have contributed to people being unable to afford their rent. Up to a third of universal credit claimants are having their payments deducted because they are in rent or council tax arrears. The government is acting like its own incompetent opposition, decrying a situation of its own making, offering solutions that are nowhere near the source of the crisis. Ian Duncan Smith – Yes, Ian Duncan Smith – Calls for Reversing Universal Credit Cuts. 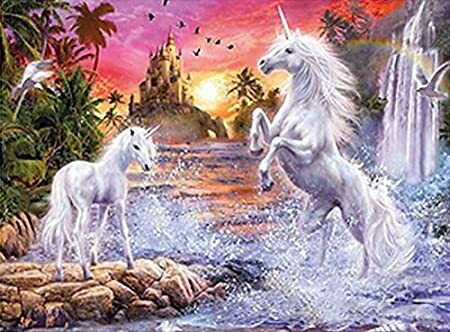 There is no doubt rejoicing in heaven at Ian Duncan Smith’s call. I, Daniel Blake: Iain Duncan Smith slams Ken Loach’s benefits sanctions film. Mr Duncan Smith presided over £15bn of cuts to the benefits system in the five years after 2010. There were £15bn of cuts to the welfare budget over the five years between 2010 and 2015, during which time Mr Duncan Smith was Work and Pensions Secretary. He eventually quit over further cuts to the Universal Credit system he helped design. The former work and pensions secretary Iain Duncan Smith has warned the chancellor that he risks undermining the whole purpose of welfare reform if he fails to reverse cuts to universal credit (UC) in his spring statement. Philip Hammond is under mounting pressure from across the party to use better than expected tax revenues to reverse cuts made after the 2015 election. Research by the Joseph Rowntree Foundation shows that 340,000 people could be taken out of poverty by reversing the cuts to work allowances. UC, which rolls six major working-age benefits – including job seeker’s allowance, tax credit and housing benefit – into one monthly payment, has been beset with problems. It is years behind schedule and there have been four different secretaries of state since Duncan Smith resigned in 2016, protesting about cuts to disability benefits – saying they were a “compromise too far” that made the cuts look political rather than economic. – Year three of the four-year cash freeze in working age benefits, affecting almost 11 million families. – The 3% real terms cut in working age benefits this year is set to be by far the biggest of the four-year benefit freeze. – A two child limit for benefit claims , costing up to £2,780 for a family having a third child. This will affect 150,000 families. – Withdrawal of the family element of support for new tax credit and universal credit claims from families with children , costing up to £545 and affecting 400,000 families. The rollout of Universal Credit , saving £200m this year due to lower entitlements than the existing benefit system for long term sick and working families in particular. 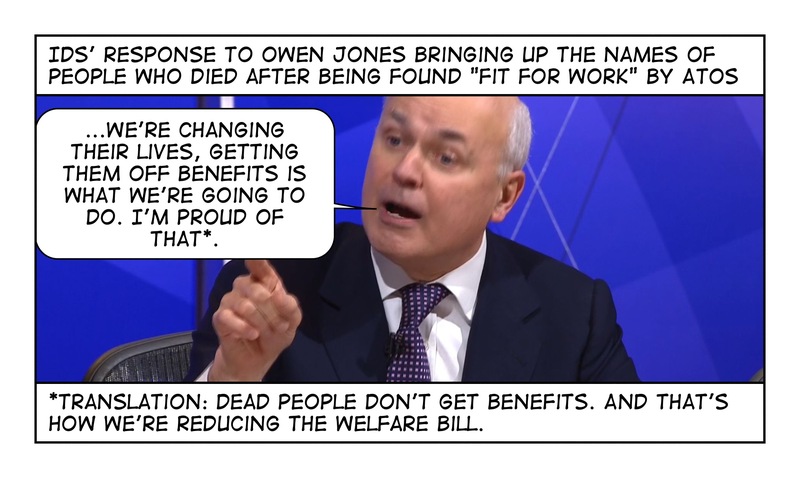 Not fit for work: All the times Iain Duncan Smith has got it badly wrong. This week two heavily critical reports were published on Iain Duncan Smith’s flagship Universal Credit programme, joining a long list of damning critiques of his time as work and pension secretary. As a result, now seems as good a time as any to take a closer at his record and all the times he has got it badly wrong. Reality: A report published yesterday by the Institute for Fiscal Studies, says that although the policy would encourage some people into work this was’t the case for everyone. In fact some groups, like single parents, will have even less of an incentive to work under Universal Credit than under the old system. Crucially it also suggested the changes would leave working families worse off on average, with their research suggesting 2.1 million families will face an average loss of £1,600 a year. One of Duncan Smith’s key defences of the Bedroom Tax was that it would help free up social housing for those who most need it. The idea being that rather than take a cut in housing benefit for having a spare room, people would move out of their properties and into smaller accommodation, thereby freeing it up for larger families. Reality: A shortage of smaller properties meant that the overwhelming majority of people affected by the bedroom tax stayed put. A recent government study into the impact of the changes found that 76% of those affected have been forced to cut back on food, with thousands more claimants being driven into taking on payday loans. Only a small fraction of those affected moved into alternative accommodation. Reality: Many people with serious disabilities and even life-threatening conditions have been judged as fit-for-work under the Work Capability Assessment (WCA) scheme. In 2013 Linda Wootton died in hospital just nine days after the government stopped her benefits and ordered her to go back to work. Amid growing criticism of the assessments, in March 2014, it was confirmed that ATOS, the private company contracted to carry out the assessments, were to end their contract with the government a year early. Reality: The switchover from DLA to PIP was a disaster with thousands of people waiting months for their applications to be assessed. This was made even worse by the introduction of a new step in the appeals process. The Mandatory Reconsideration stage resulted in many of those who had already waited long periods for a decision to be made being left waiting even longer to have the opportunity to challenge . He also announced a far more radical series of reforms intended to simplify the benefits and tax credits scheme into a single payment to be known as Universal Credit. A major aim of welfare reform was to ensure that low earners would always be better off in employment. “After years of piecemeal reform the current welfare system is complex and unfair,” said Duncan Smith, citing examples of people under the existing system that would see very little incremental income from increasing their working hours due to withdrawal of other benefits. Outlining the scheme in more detail in November 2010, Duncan Smith promised “targeted work activity for those who need to get used to the habits of work” and sanctions, including the possible removal of benefits for up to three years for those who refused to work. He said welfare reform would benefit all those who “play by the rules” and ensure “work always pays more” by easing the rate at which benefits are withdrawn as income rises. The next phase of welfare reform announced by Duncan Smith in late 2011 required benefits claimants with part-time incomes below a certain threshold to search for additional work or risk losing access to their benefits. “We are already requiring people on out of work benefits to do more to prepare for and look for work,” he said. “Now we are looking to change the rules for those who are in-work and claiming benefits, so that once they have overcome their barriers and got into work, in time they can reduce their dependency or come off benefits altogether.” He said that benefits were not a route out of child poverty but hundreds of thousands of children could be lifted out of child poverty if one of their parents were to work at least a 35-hour week at the national minimum wage. He also argued that a proposed £26,000-a-year benefits cap, would not lead to a rise in homelessness or child poverty “The reality is that with £26,000 a year, it’s very difficult to believe that families will be plunged into poverty – children or adults,” he told BBC Radio 4‘s Today programme. “Capping at average earnings of £35,000 before tax and £26,000 after, actually means that we are going to work with families make sure that they will find a way out.” but added there would need to be “discretionary measures”. Duncan Smith led the governments legislation in the House of Commons in January 2013 to cap most benefit increases at 1%, a real terms cut. On 1 April 2013, Duncan Smith said he could live on £53 per week as Work and Pensions Secretary, after a benefits claimant told the BBC he had £53 per week after housing costs. In September 2013, Duncan Smith’s department cancelled a week of “celebrations” to mark the impact of enhanced benefit sanctions. Mark Serwotka, the general secretary of the Public and Commercial Services Union (PCS) commented: “It is distasteful in the extreme and grossly offensive that the DWP would even consider talking about celebrating cutting people’s benefits.” In the same month, Duncan Smith’s department was subject to an “excoriating” National Audit Office report. The department he runs was accused of having “weak management, ineffective control and poor governance; a fortress mentality, a “good news” reporting culture, a lack of transparency, inadequate financial control, and ineffective oversight” as well as wasting 34 million pounds on inadequate computer systems.